Next Friday September 2nd we travel to Inlet Grove for our next conference matchup. Click HERE fore info. 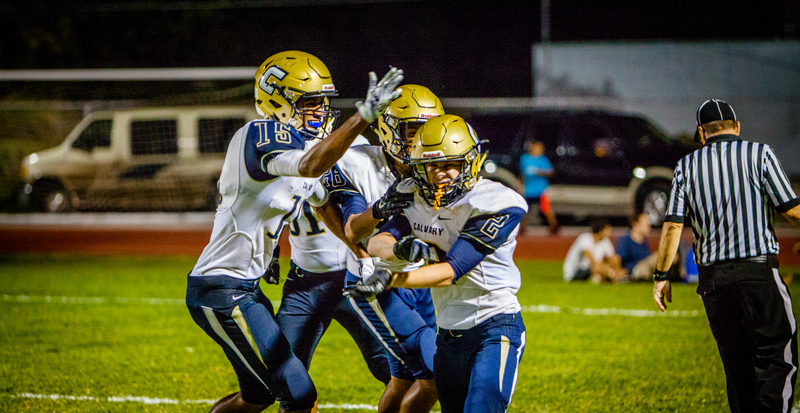 Calvary Football is off to an excellent start with a win over Pompano Beach HS. A.J. Tigertail carries the ball across the goal line on a pass from Skylar Pearcy to complete the first touchdown of the 2016 season. Tiras Shashaty celebrates after catching a 50 yard touchdown pass with 1 second left on the clock before the half.